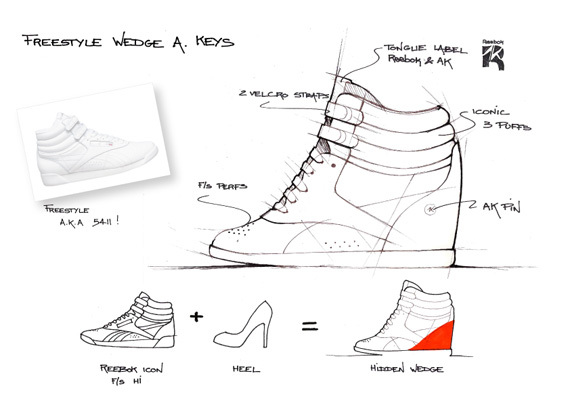 It seems like wedge sneakers aren’t going away anytime soon, Reebok Classic and Alicia Keys celebrated the launch of their new collection of Freestyle Hi Wedge A.Keys sneakers as part of their ongoing collaboration on Thursday. 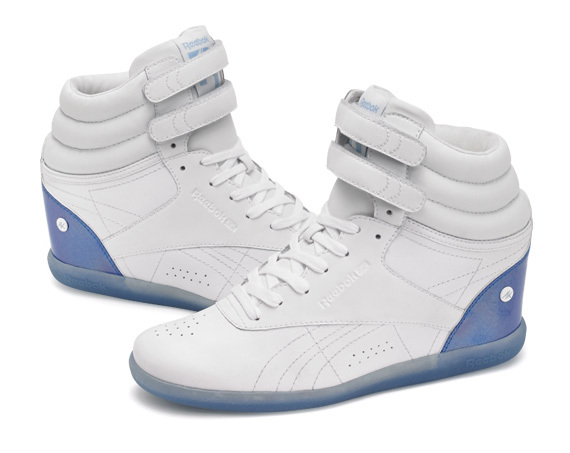 The Freestyle Hi Wedge A.Keys is an updated style of the Reebok Classic silhouette – the Freestyle sneaker featuring a hidden wedge (approx 2 1/4 heel height). To celebrate the launch of the collection, Alicia did a brief Q&A with Maria Menounos in front of customers, talking about the process of designing the shoes and her own style inspirations. Swizz Beatz also made a cameo at the event to support his wife as well. 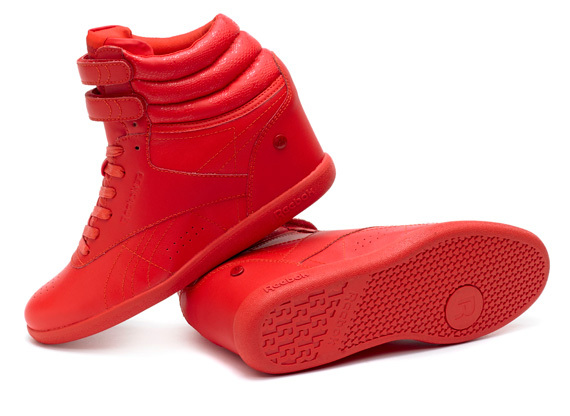 The collection will be introduced on April 1st with two on-trend packs; the Chi Street Pack which features bright, sporty color blocking, candy pop color explosions of neon pink and bright yellow with a real sport luxe feel, and the Classic Iridescent Pack which draws inspiration from Alicia’s stage life and features a bold all over red Freestyle Hi Wedge, paying homage to one of the most sought after original Freestyles, as well as additional styles featuring tonal gloss python prints, neon color pops and iridescent accents. 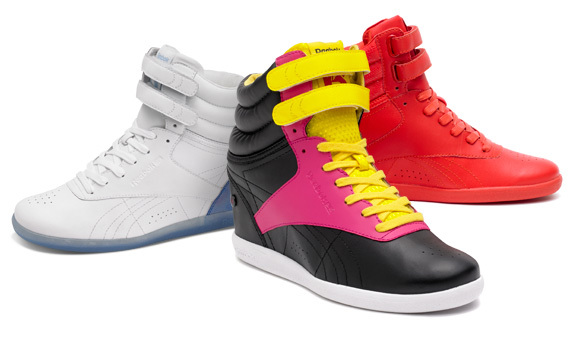 The wedge sneakers are available for pre-order (ship date is estimated to be April 5th) at Nordstrom.com and Reebok.com in three colorways – white/blue, pink/yellow/black and red – for $90.